These transforming solar robots are part of an intelligent mobile kit that requires no fossil fuel and more importantly no batteries. Its animated movements are activated by nature’s gift of sunshine! 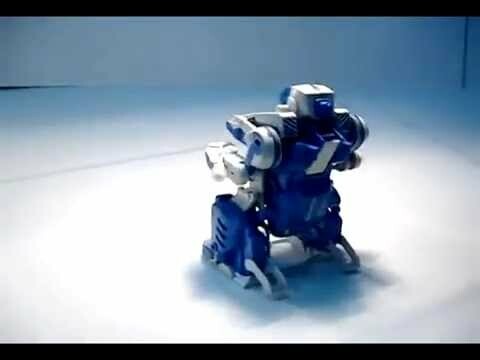 This solar robot can change into a scorpion, a tank and then back into the normal robot mode. After you’ve left the robot in the sun for a while to soak up some sun it’ll be able to move about to keep you entertained. You won’t need much in the way of tools either for this 70 piece kit. You’ll just need a screwdriver and maybe a diagonal cutter to assemble the whole thing! This particular robot is a kit that’ll let you or your children learn a little more about using solar power in a much more interesting way. Plus after you’re all finished building the robot, you’ll have a fun little transforming robot. Makes a perfect gift and is suitable for children 8yrs and up or you could even leave it on your own desk for some entertainment while you’re bored at work! Choice is completely yours.. WARNING: Not for children under 3 years old. so does it transform on its own?